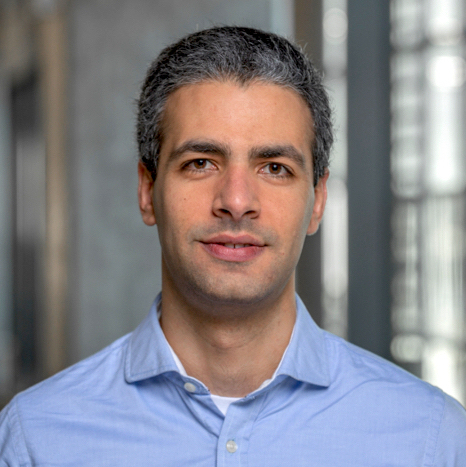 Haytham Fayek | Artificial Intelligence, Machine Learning, & Deep Learning Researcher. Artificial Intelligence, Machine Learning, & Deep Learning Researcher. Postdoctoral Research Scientist, Facebook Research. Alumnus RMIT University, Oculus / Facebook, AGI, & WorleyParsons. Github | Google Scholar | ORCID | LinkedIn | Resume | Twitter. Feb 2019: PhD Thesis: Continual Deep Learning via Progressive Learning! Dec 2018: At NeurIPS’18, Montréal, to present On the transferability of representations in neural networks between datasets and tasks at the Continual Learning Workshop. Aug 2018: Postdoctoral Research Scientist, Facebook Research, Seattle. Jun 2018: Panel discussion at ACMI X, Melbourne, on Talking Computers: How Voice Technology is Changing the Human Machine Interaction. Feb 2018: Teaching Assistant at RMIT for postgraduate COSC1295 Advanced Programming and undergraduate EEET2169 Image Processing. Dec 2017: At NIPS’17, Long Beach. Nov 2017: Paper: MatDL: A lightweight deep learning library in MATLAB, in JOSS. Nov 2017: At World Youth Forum (WYF’17), Sharm El Sheikh. Oct 2017: At AES’17, New York, to present On data-driven approaches to head-related transfer function personalization. Sep 2017: Talk at Swinburne University, Melbourne, on Will Deep Learning Lead to AI? Aug 2017: Talk at the ML / AI Melbourne Meetup, on Will Deep Learning Lead to AI?. Aug 2017: At ICML’17, Sydney and IJCAI’17, Melbourne. Copyright © 2013- Haytham Fayek.